UK Pre-Paid Visitor Passes - Which One Should You Buy? Do Pre-Paid Touring Passes Give You More Bang for Your Buck? You can budget your sightseeing expenses in advance so you have fewer costly surprises while touring. You can try to buy your pass when the comparitive currency rates are in your favor. For example, a £10 admission ticket purchased with US dollars in May 2016 would have cost $14.41. After Brexit the pound fell and by mid December 2016, the same pass would have cost $12.32. Of course, currency rates can go up or down and in May 2018, a £10 pass would have cost $13.31. It's all matter of timing. . If you make good use of a pass, you'll save a lot on normal entry fees. You usually won't have to wait in long lines during busy vacation and holiday seasons because most passes give you priority entry. The variety of attractions featured usually gives you and your family plenty of choice for planning your itinerary. Passes are sold with time limits - usually 7, 14 or 21 days. You need to balance what they cost with how many attractions you are likely to want visit or to be able to fit in during the allotted time. There can be a lot of pressure to rush around trying to see everything within the time limit. so that you get your money's worth. This can be particularly true of 1 and 3 day city passes which are not always good value. You need to take a good look at what's included to make sure you're really interested in enough of the attractions to get your money's worth. Some passes have imposed limitations - days of the week when you can't use your pass or parts of the attractions that are not included. Read the small print carefully. We used to recommend the Great British Heritage Pass which offered overseas visitors entry to hundreds of attractions of all different kinds in England, Scotland and Wales. Privately owned, English Heritage and National Trust attractions were all included. Sadly, this pass was discontinued. It was replaced with an England-only pass that offers fewer attractions. But there is a silver lining. The new heritage pass is more focused on the most popular attractions - the ones you've probably read about and are looking forward to seeing. It's also much cheaper than the old pass so it's easier to add one or two of the other passes - English Heritage, National Trust, Wales or Scotland Explorer. And it's available to both overseas and home country visitors. 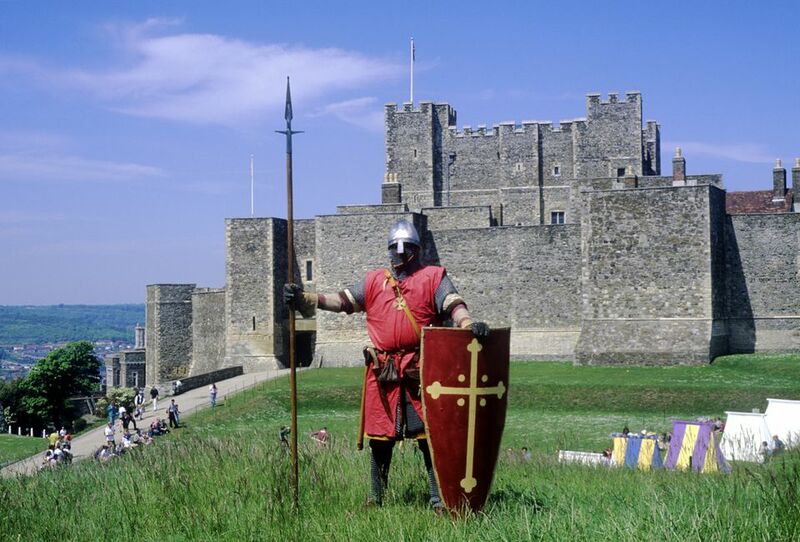 The English Heritage Overseas Visitor's Pass is available for 9 or 16 days in single adult, two adults or family versions with prices, in 2018 starting at $48 for a single adult. It is only sold to overseas visitors and is available online through the VisitBritain shop or the English Heritage website. This is a very good pass if you're planning your first trip to England because it includes unlimited visits to all English Heritage properties including Stonehenge with its fabulous new visitor center, Battle Abbey near the 1066 battlefield where William the Conqueror...well conquered, castles, abbeys, prehistoric monuments, ruins, Hadrian's Wall and lots more. There are more than 100 sites and attractions on this pass. It also includes a free overseas visitors guidebook and free or reduced entry to special events such as re-enactments and jousts. Find out more about the pass and how to buy it. Scottish Passes The Historic Scotland Explorer Pass is flexible enough to give you plenty of time to enjoy Scotland's landscapes, lochs, coasts and mountains as well as its castles, abbeys, museums and prehistoric sites. Unlike some visitors passes that are only worthwhile if you commit yourself to a relentless trek from one landmark to another, this one is good for a number of days within a longer period (three days in a five day period or seven days in 14) giving you plenty of time for hill rambles, nature walks, loch fishing, golf and boating - all that good, outdoorsy stuff for which Scotland is best known. And the sights you can visit include castles, abbeys, prehistoric settlements and my favorites Maes Howe and Skara Brae on Orkney. The pass starts at $45 for a single adult in 2018. If you're really keen on historic sites,you might want to consider the Scottish Heritage Pass, starting at $72 in 2018. You can use it to visit 120 sites across Scotland, including Edinburgh Castle, Stirling Castle, Culzean Castle, Glasgow Cathedral and the Culloden Battlefield. Its good for unlimited use during seven consecutive days between April 1 and September 30. Both passes are available in dollars through the Visit Britain website. Find out more about them including how to buy them. The National Trust Touring Pass - all the trust's treasures for one fee, starting at $45 in 2018. Only available for buyers outside of the UK. The National Trust for Scotland Discover Ticket, starting at $38 and available in 3, 7 and 14 day passes. The Wales Explorer Pass - 3 or 7 day passes, starting at £22, good for the castles, abbeys, manors and ruins in the care of CADW, the Welsh government heritage arm. The pass can be purchased at any of the CADW sites. Click here and scroll down for a full list.